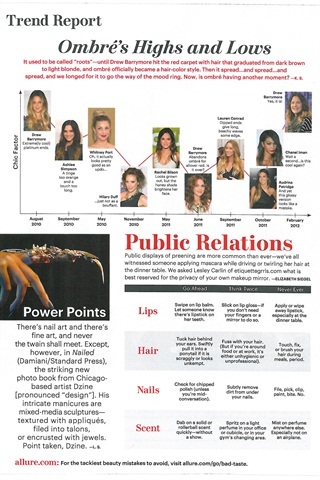 A new nail art photo book has hit the stands, according to Allure magazine's April 2012 issue. "Nailed," published by Damiani/Standard Press, features the intricate work of Chicago-based nail artist Dzine. His intricate manicures are mixed-media sculptures — textured with appliques, filed into talons, or encrusted with jewels, says Allure.